Gulu. Uganda. 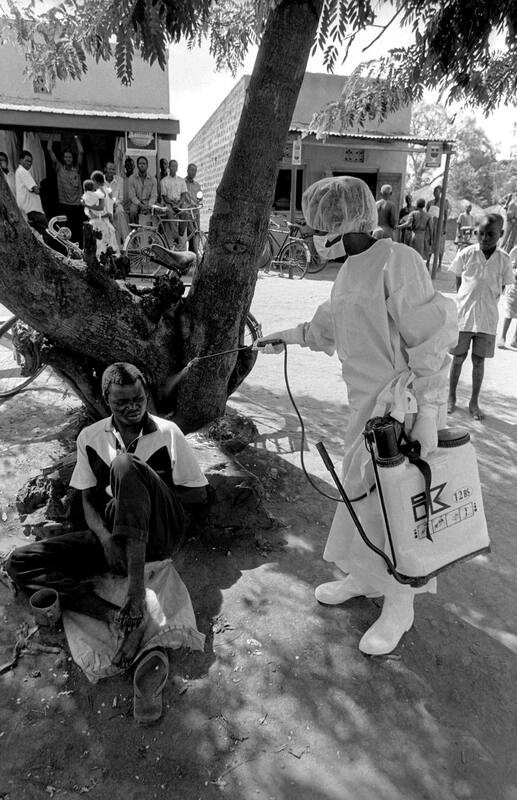 2000 Walter Odoch [seated], 21,has been reported by a villager as having vomited blood-a classic ebola symptom, and lies isolated in the centre of the village. He is sprayed by the recovery team with a disinfecting bleach and taken to Gulu hospital for testing. He was later found to have the ebola virus.